Well as a designer I feel black & white was in vintage & now converted in contemporary forms of best interior works. Some of the world famous designed portfolio came only in this two colored objects. 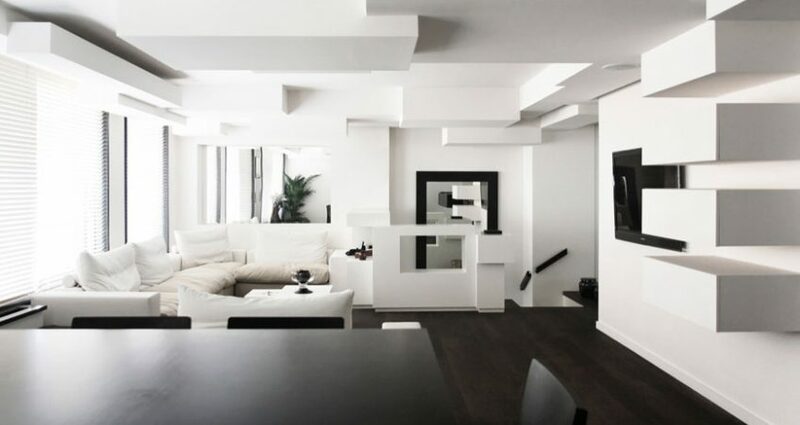 An aesthetically it sets great combination while we think about Black & White colored interior. Think about Dark grey colored stone wall cladding with certain an antique wood vase with green plant. You will get answer & we not even need to add an image for this. For high style contemporary designs we can make black & white combination to highlight the modern life style & unique taste of design.